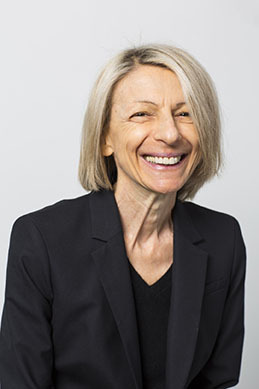 Marina Alberti serves as the Associate Dean for Research in the College of Built Environments and is a Marsha and Jay Glazer Endowed University Professor of Urban and Environmental Planning in the Department of Urban Design and Planning. She directs the Interdisciplinary Ph.D. Program in Urban Design and Planning and the Urban Ecology Research Laboratory. She teaches courses in Urban Science, Urban Ecology, Environmental Planning, Research Design, Geographic Information Systems, and Group Dynamic and Conflict Resolution. Alberti’s research interests are in urban ecology, studying cities as hybrid ecosystems. Her research focuses on the interactions between urban development patterns and ecosystem function, urban eco-evolutionary dynamics, and the properties of urbanizing regions that enhance their resilience and socio-ecological innovation. She leads research on urban ecological modeling, scenario planning, and strategic foresight. Her work involves the development of metrics and indicators of socio-ecological performance that can be used to monitor progress and inform policy-making and planning. In her recent book entitled Cities That Think Like Planets (UW Press 2016), Alberti advances a science of cities that work on a planetary scale and links unpredictable dynamics to the potential for socio-ecological innovation.